As part of our commitment towards a good work/life balance, promoting health & wellness to our team, and as part of our mental health awareness we have decided to introduce regular team walks. 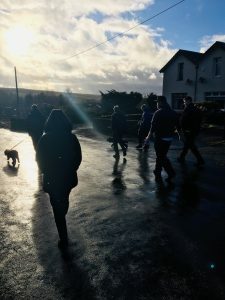 Last week was our first, and everyone downed tools and headed out for an hours walk with the Big Bite dogs. It was a tad driech towards the end, but was great to get out and clear our heads.